I'm a French photographer living in Ottawa, CANADA. In 1979, I started photography at the age of 11 with my first camera KODAK Trimlite INSTAMATIC 18! It was the last year that Kodak produced that type of device. I was very proud and I enjoyed photographing people, known or unknown, on the spot more often than not. I haven’t stopped since then. During my month-long expedition to India in December 2004, my passion has increased and I started thinking "exhibition". Thanks to my last trip to Turkey in 2011 and the New York Institute of Photography (NYIP) since then, my passion has begun the road of a profession. In a fit of spontaneity or just synchronicity ... the photographer finds himself. I always thought that photography is a short complicity between foresight and chance. I planned trips where some of my photoshoots were scheduled in advance ... and travelled on impulse where some where unexpected. Being there at the right place & at the right time, capturing an event, a person on the spot when this is only temporary, capturing that brief moment, that is special. 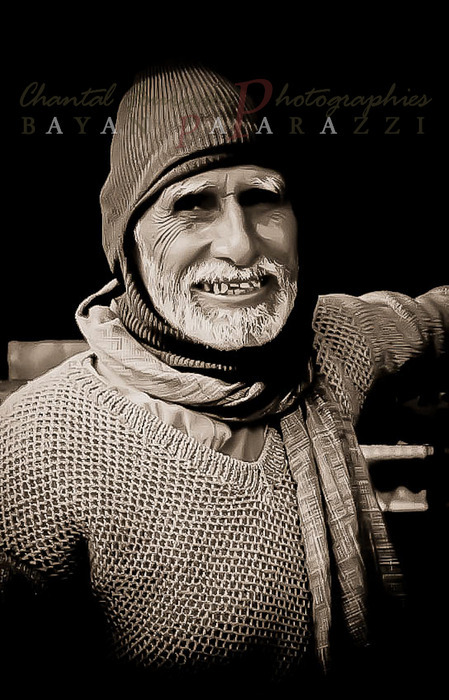 "FACES & SOULS FROM ISTANBUL"
October 2012 - (...) at TOPKAPI - Ottawa, ON. 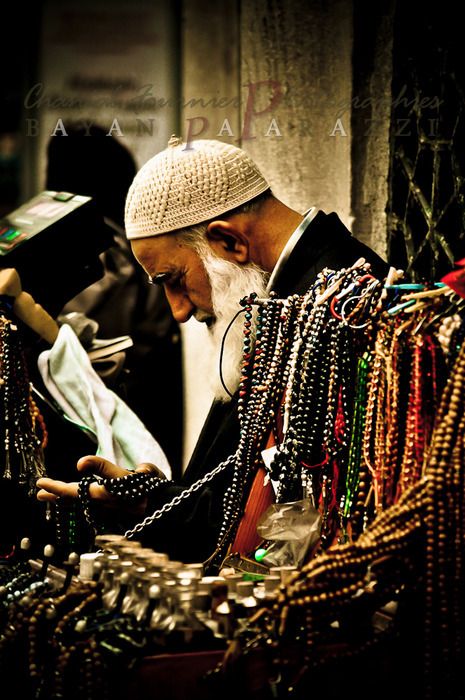 Man praying with Islamic prayer beads, called "Tesbih", "Tasbih" or "Misbaha" - Istanbul, Turkey. This pic was taken in Istanbul, on May 1st. On that day, crowds of protesters were marching all over the streets of Istanbul while, on the Mosque sites, there was still people meditating - like this wise man - instead of shouting endlessly ... "For better working conditions". Yes, evet .... put some love & prayers in those beads! Lonely old woman sitting on the side walk in Antalya, Turkey. 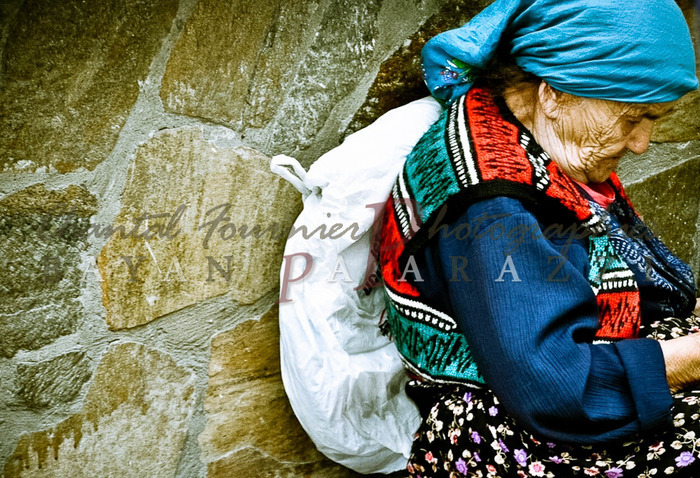 Even though this pic was taken in Antalya (south Turkey), this woman was fascinating me ... What a beautiful old soul she is!! The Mevlevi Order, or the Mevlevilik or Mevleviye (Persian: ?????? - Molav?yeh) are a Sufi order founded in Konya (in present-day Turkey) by the followers of Jalal ad-Din Muhammad Balkhi-Rumi, a 13th century Persian poet, Islamic jurist, and theologian. They are also known as the Whirling Dervishes due to their famous practice of whirling as a form of dhikr (remembrance of God). 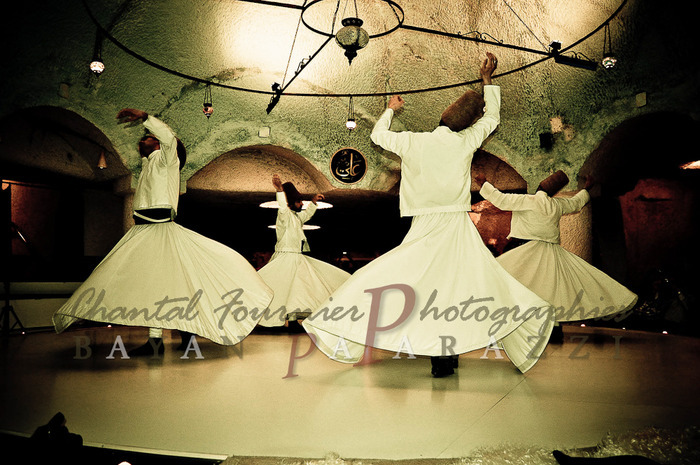 Dervish is a common term for an initiate of the Sufi path; the whirling is part of the formal Sama ceremony and the participants are properly known as semazen-s. In 2005, UNESCO proclaimed the "The Mevlevi Sema Ceremony" of Turkey as amongst the Masterpieces of the Oral and Intangible Heritage of Humanity.